To demonstrate the superior strength of DuraGrip adhesive, we challenged it to pull a truck, loaded with shingles, weighing 7,500 lbs. Is DuraGrip strong enough to survive this monumental challenge? Watch the video to find out. See why GAF shingles are your best and safest choice as we subject our Timberline® shingles to: "Hurricane-force" winds • Torrential downpours • We even blow 'em up! • The creation of dangerous electrical situations wherein shorted circuitry or exposed wires may cause electrocution and/or fire. With the above in mind, it is easy to see why addressing your leaking roof is imperative, and why you should investigate the means of having it fixed immediately after it stops raining. In the roofing business, they say that there is no such thing as a small leak. And the reason this phrase is so relevant is because an undetected leak can cause extensive water damage before you ever even know it exists. Wood rot along with a host of other structural damages can occur as a result of your leak and render your property unsafe and unlivable. Learn the components of a proper roofing system. Above All Roofing Co. is here for all your roofing needs. We specialize in everything from New Roofs, Repairs, Inspections, Maintenance, Seamless Gutters, and Insulation for Residential and Commercial properties. We are a family owned and operated contractor located in Vacaville, California; serving the surrounding counties and the Bay Area. We have extensive knowledge, with 37 years of experience in many types of roofing systems, including Asphalt Shingles, Wood Shakes, Built-up Roofing, Tile and Slate, just to name a few. Our goal is to provide you with quality workmanship, timely service and fair pricing. Our estimates are always free. In general, a roof will last a good twenty years before requiring a replacement. Somewhere around the ten-year mark, many begin developing leaks, and loose/missing shingles. In addition, the sun may also go ahead to cause discoloration in the shingles causing them to look old and beaten. In this article, we will outline the many benefits to re-roofing your home. 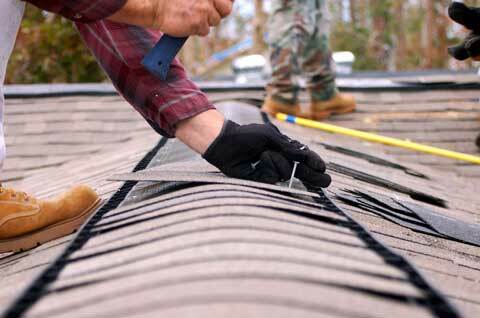 1: Re-roofing will stop the leakage. If you're beginning to notice a slight increase in the amount of patching projects required to maintain your covering, it may be a good indication that a new one is in order. In some instances, the decking may need replacing as well. While this can become pretty expensive, rather quickly, it's worth not having to dump out the drainage bucket every time it rains. 2: A new roof will always increase the value of a home. To those in the market to buy, a new one states that the home has been well maintained and cared for. You can almost always make up the difference in the sale price from investing in a re-roof project. 3: The chance to begin anew. Add a new look to your home through the use of a shingle color or patter that is pleasing to the eye. If you replacement happens to take place at a time when you will be painting the home as well, paint the exterior first, and choose a complimentary shingle style to really make it pop. 4: A replacement one will typically lower property insurance rates. The newer the roof, the less likely it will require repairs; the less the insurance company worries. In fact, many insurance plans give special discounts to owners who have roofs that are less than 10 years old. 5: As the shape of a roof directly determines which way the water drains during stormy weather, you may be able to avoid future foundation damage through replacement. Older roofs are sometimes known to direct water the wrong way. A new one can help redirect the flow. You may even consider adding a new gutter system as well. 6: The opportunity to look at new and exciting options. These days, there are plenty of ways to go about a roofing project. Take the time to look at what's available to you. Look around at neighbors houses, magazines, and online. You may find something to your liking that you never knew existed! Taking care of roofs should be one of your topmost priorities. This is to ensure that you and your home will always be secure. Roof is one important part of your house. Having just leaks already upsets you. Imagine how hard it would be to be left without something to provide you shade you from the heat of the sun and keep you dry from the poring rain. This is why it is essential that you must also give back the same protection that your roof is giving you. You have nothing to lose. In fact, you have everything to gain as you will be at the receiving end of it. Below are some preventive maintenance measures that you can perform. • Check on the flashing. -this is one of the most common and biggest blunders that majority of homeowners commit. Flashing is what provides protection to the part of your roof that is weakest. In addition, it serves as a waterproof blockade that keeps rainwater from seeping into the structures underneath the roof; hence, preventing leaks from happening. There are instances when the flashing gets loosened. It can be caused by strong winds and others. This is the reason why it is essential that you inspect it on a regular basis. This way, you can avoid big problems from happening. • Make sure that it will not carry excess weight. -your roof is intended to provide you security from different types of weather and all harmful natural elements and not for anything else. You ought to make sure that it will not be carrying other unnecessary weights so that it will not sag. When it does, it might lose support and it might fall down on you. There are instances where some people decorate it with many different Christmas decorations, weathervanes and other ornamental things. There are even residential houses that put flags into their roofs even without any apparent reason. • Watch out for erosion. -this is another way of taking care of roofs. Erosions may be considered normal if it occurs a few years after you first installed it. However, your alarm bell should ring when it happens too soon. This may be because you failed to install it correctly though it may also be caused by weathering. The catch here is that you cannot be able to see at once if there is some erosion or blistering unless it will happen in the seam areas. The key here is to climb into your roof at least once in a while especially after a heavy rain. • Inspect it regularly. -nothing beats checking it up on a regular basis. Set a schedule when you can be free to inspect your roof. Do not procrastinate or fail to do it regularly as it is one of the keys to keep all the occupants secure is to maintain the roof. And when you do the inspection, do it carefully. You cannot afford to miss a problem that may cost you something priceless. If you happen to live in an area where tornados are frequent, you still have to check on your roof even if it is "scarcely hit." This is because there may be unseen damage that can cause a bigger problem sooner or later. • Invest on quality roofing system. 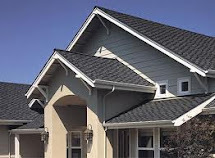 -taking care of roofs will be easier if the materials made are already robust from the start. If it is durable enough, it is most likely that you would not need to do some repairs frequently. Tough roofing systems often come with a high price but if it can last longer and the materials used are of high quality, invest your money on it as you will be able to save loads of bucks in the long run. • Repair and repaint as often as needed. -repairing and repainting your roofs can also help in lengthening its life especially if it is made from woods. If upon your inspection, you can see something that needs to be fixed, do so at once. Otherwise, you will be just in for some bigger trouble. Or if you cannot fox it yourself, you can look for a home contractor that has the expertise in roofing. It is not too difficult to conduct preventive maintenance measures in taking care of roofs. You should give it your ample time unless you just want to be surprised with problems that you could have prevented. The roof on your home is by far the most important factor in keeping out the weather elements. Your roof is a weatherproof shield against rain, snow, heat and cold. Making sure your roof is holding up well is essential in keeping your home safe. Often times, a roof can need replacement when high winds rip of shingles or a tree or branch falls or if a major hailstorm damages the integrity of the structure. However, the age of your roof may also determine whether it needs replacement. Spotting a leak is a good indication that your roof may be in need of maintenance or replacement. You can perform a visual inspection of your roof by looking at the sides of the roof. A roof in good condition should appear straight and flat. There should be no bulging or curled tiles, no spaces and no discoloration. Make sure you also inspect around the base of the chimney and vents. The tiles should be flush and seamless around the bases of the pipe vents. If they are bulging, it is a good indication that water is leaking underneath the shingles, slowly causing damage to the roof. Don't forget to check your gutters. Keeping your gutters clean and free of debris will allow the rainwater to drain properly, instead of pooling around the seams of your roof, which will can find its way into the roofing seams and cause damage. If you see potential problems during your visual inspection of the roof, you should call a roofing contractor for a professional's opinion. A professional roofing contractor will be able to find the problem and offer you solutions to fix it. Your roofer may suggest roof-venting technologies, such as a ridgevent system. They also may offer you options in the type of new roof that should be installed on your home. If you live in a wet climate, for example, you may benefit from a corrugated roof, which quickly funnels water off of the house. And old roof, no matter how expertly it was installed, will eventually begin to absorb moisture. The water, when soaked into the wood, will cause mold and rot, which will require a complete replacement of the wooden frame. Making sure you install the correct roofing tiles and shingles, whether they are asphalt, clay or aluminum, will keep the moisture from leaking into the home and rotting the wood. It is imperative that you perform annual inspections of your roof to ensure it is keeping water out and all seams are properly sealed. Your roofing contractor will be able to provide you with an estimate and a detailed description of the work to be done, as well as offer you professional solutions to ensure your new roof will last for many years. With periodic maintenance and visual inspections, you can be sure your roof will keep your home safe from the elements. Roof repair like any other kind of building work is technical and requires skill so if you've discovered a problem with your roof and that it needs to be repaired, our very simple recommendation is to seek out a professional rather than attempt to repair it yourself. This is because it is likely to be quicker, better quality and (in the long run) cheaper. What in your view is wrong with the roof? Not being a specialist you may not be able to describe the source of the problem but you will know the symptoms - what's happening? Is there a leak? Is it cold? Both? Can you see broken or cracked tiles or a damaged coating? Be precise. Roof coating - maybe your roof just requires coating. There are treatments available for roofs that protect tiles etc from the weather. If this is all you require and you know it needs nothing else the explain this to a roofer. Flat roofs - Does your home have a flat roof or sloped? Flat roofs require a special kind of care. They can be more vulnerable than sloping roofs as water does not easily drain off. 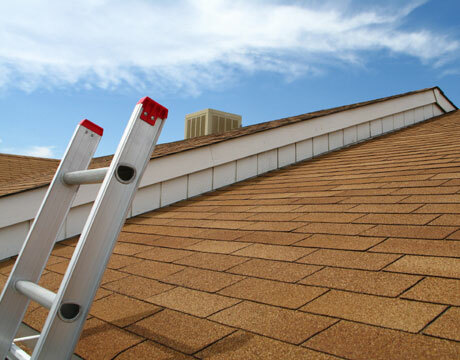 Roof restoration - roofs may require more than a simple repair job but complete restoration. Depending on the materials, extent of restoration and location this might mean specialist roof repairers. Bear this in mind if you think you have a roof that is different from the norm. Roof replacement - likewise some roofs require complete replacement or a least partial replacement. This is different from simple roof repair. Consider this as a possibility even if your leaking problem seems small. Gutter and facias - this is not exactly roof repair but gutters and facias are necessary parts of roofing that can easily get neglected. These require as much care and attention as the roof itself. And don't assume that a leak is the cause of a hole in your roof - it may be your guttering. 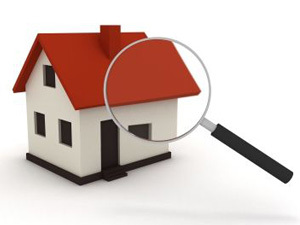 Do as much investigation as you can before you inform any prospective roof repair tradesman. Tell them about the property, explain what the 'symptoms' are then give you view of the problem. In most cases, a roof repair person is likely to want to assess a job for themselves before attempting it but a brief pre-description can help. 1: The structure under your actual roofing; the support beams (rafters, trusses), typically in the attic, that support the roof structure from underneath. You need to conduct a thorough inspection of your home's attic, or have it done by a professional and go with them to see the condition for yourself. If your supporting structures are warped, rotten, insect ridden or otherwise damaged, you should not consider replacing what's above those structures until you address the quality and strength of your roof's supports. 2: The Deck: which is sometimes called sheathing; that's the wood (typically plywood panels) or metal sheeting attached to these supports. When you eventually choose a roofing contractor and sign a contract, be sure it specifies the cost that contractor charges to replace any panels. Neither you nor your contractor will know how many, if any, panels are damaged and in need of replacement until the contractor removes the old roof covering materials. We suggest that you ask your contractor to specify in the contract how many panels they'll replace for free, along with the cost of additional replacements. This avoids confusion or any feeling that you are being taken advantage of with 'hidden' costs. 3: The Underlayment: It's that material that looks like black paper or felt that covers up the Deck panels. It's often saturated with asphalt and provides moisture and air barrier lay over the deck. 4: The Roof Covering, typically Shingles or Tiles, which are the exterior elements that come into direct contact with the elements. They are your home's first line of defense against rain, snow, ice, hail and high winds. In the United States, the most popular covering by far is Asphalt Shingles, but roof covering can also be clay or concrete tiles, wood, metal or a synthetic material. For more about Asphalt shingles, refer to our Tutorial called "Asphalt Shingles". Newer technology incorporating fiberglass has revolutionized asphalt shingles and greatly improved their performance and lifespan. 5: The Flashing that waterproofs and weather proofs those parts of your home most likely to collect water or leak. This is especially true with anything that protrudes through your roof, like your chimney, skylights, exhaust events. Also, edges of your roofing or the 'valley' where two sloping sections of roof connect are locations where water or snow will naturally accumulate, so flashing can help protect you from that water. 7: The Roof Design: The shape, arrangement and slope of the different sections of your roof that determine its ability to shed water and withstand infiltration of air and moisture. For more details about Roof Design Terms, refer to our Tutorial called "Roof Design Terms". For general purposes, just realize that the complexity of your roof's design, the more individual sections, the more protrusions, overhangs, et cetera, that more material and labor will be needed to properly complete your job.